After watching this movie I can say... Finally, an Incredible Hulk movie that is worthy of the title! It seems like everything the first Hulk movie did wrong this one did right. The story is ten times better... the special effects are much better... as are the actors. The fight between The Hulk and Abomination was great... lasted just long enough. Some of these movies tend to extend that final fight longer then it should be. 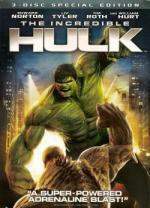 I do get what you mean, this is more fun, but The Hulk was a better and more ambitious film overall. I was frustrated because this went so far the other way; don't you think it would have been better without the absurd military getting stuck in immediately? There's already enough of a reason for Banner to Hulk-out, but they send those as well, it was absolutely overkill. They didn't need the silly reason to find him. You've been watching the series... I missed the poignancy that always delivered so neatly. This was just an action film and nothing more. Oh yeah... the closer to the series it would have been the more I would have liked it. Before either movie that series is all I knew The Hulk from as I didn't read the comics and never watched much of the cartoons. I found the second movie a little closer to the feel of the series. But if they would have done it exactly like the series there would have been a good change the movie would have gotten a 5 star rating from me. Based on a book I have about Hulk, the military going after him has been one of the ...consistent elements in the comics. General Ross is always mixed up in it somehow. When I watched Hulk again, I liked it better than I did the first time..though the ending stuff and what went on with Bruce's dad was just nuts and wrong on so many levels. The newer one is much better..and I liked Edward Norton in the part too. This is the second time I watched this movie since I bought it Just about 4 or 5 months ago. 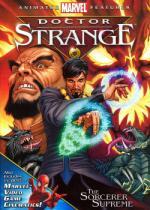 Doctor Strange has a different feel then most Marvel animated movies. But it isn't a bad thing... just different. Before this movie I really didn't know much about the character other then seeing him in an episode or two of the Spider-Man cartoons. It is an interesting and entertaining story. I would definitely like to see more on this character. Iron Man was always one of my favorites growing up. I used to watch the cartoons all the time. But until this movie I never really seen an origin story for him. And I must say I enjoyed every minute of it! This is my second time watching the movie since I got the DVD. And I loved it just as much this time as I did the first. I will admit I was concerned when I first heard that Robert Downey, Jr. got the roll of Tony Stark/Iron Man.... since even though he is a decent enough actor... he never really impressed me all that much. But I must admit... I really liked him in this movie. He seemed to nail the role for me. Sure there was some things that was really unbelievable in the storyline... like being able to create the suit he did in captivity... without the captors being any the wiser about it. But you know... I really didn't mind it. It worked for me. For anyone watching the movie for the first time... or may have missed it when you did watch the movie. Look for a final scene after the end credits role... very cool!